It’s no surprise that the Porter County Fair in Valparaiso has everyone marking their calendars far in advance of this extraordinary summer event. All those 4-Hs have spent months getting ready to show their animals and projects. Kids can’t wait for the great carnival rides, games and fair food. Families welcome time together. And music lovers know that big names rule the grandstand. In fact, the yearly lineup of grandstand talent is so impressive that it easily matches some much larger state fairs across the country. This year, the legendary Brooks & Dunn take the stage, as well as Brett Young with Ashley McBryde as his special guest. And for fairgoers who love to watch exciting action, this year’s fair will feature A-Bar Rodeo Bull Riding for fast-paced competition, the Super Show Tractor Pull, A Tuff Truck Challenge and Demolition Derby. But perhaps the soul of the fair lies in that traditional, down-home flavor that keeps fairgoers coming back for more. The 4-H competitions provide endless opportunities to see these young people show off their hard work in contests that include everything from dogs to beef and dairy to sheep and goats, horses and ponies, rabbits and poultry, and more. Then there’s food judging, a barbecue cookoff, a robotics demonstration and music competition. There’s no such thing as a great fair without fabulous food. This fair has you covered, with plenty of local and national vendors offering everything from burgers and turkey legs to ethnic fare. Free entertainment abounds, with everything from the 4-H Queen Contest to the Cutest Baby competition. Don’t miss popular favorites such as Matt’s Family Jam, a real family that gives a high-energy musical performance; Brown & Gray, an American-British country-pop duo, or Dollipops, an interactive children’s music show. But probably one of the biggest draws is the great carnival with more than 35 rides, plus games and, of course, all that food carnival goers love, from corn dogs to funnel cakes. There’s a ride perfect for every member of the family. Little tots can hone their roller coaster skills early on the Wacky Worm or just indulge in the big slide. There are plenty of thrill rides for the daring older crowd, including a giant pendulum and Mega Drop. 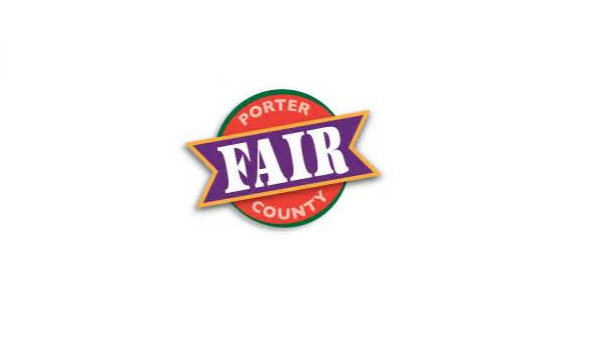 So mark your calendar for 10 straight days of summer fun at Porter County’s fabulous fair!